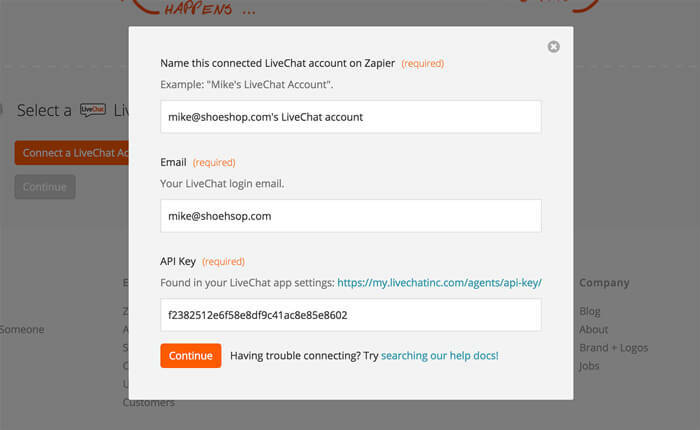 You can gather contact information from each chat by connecting your HubSpot account with LiveChat through Zapier. You can use the stored contact data to reach out to potential customers after a chat with a follow-up. To get started, log in to Zapier and click on the Make a Zap! button. Next, select LiveChat as the triggering application and HubSpot as the action application. Click on the Choose a Trigger button and pick the Finished Chat option from the list. In the same manner, click on the Choose an Action button and select the Create or Update Contact option. With this kind of setup, whenever a chat ends the contact information of the customer information will be sent to your HubSpot account. Click on the Continue button to proceed. You will need to connect your HubSpot account to proceed. Click on the Connect a HubSpot Account button, name the account and enter your Hub ID. 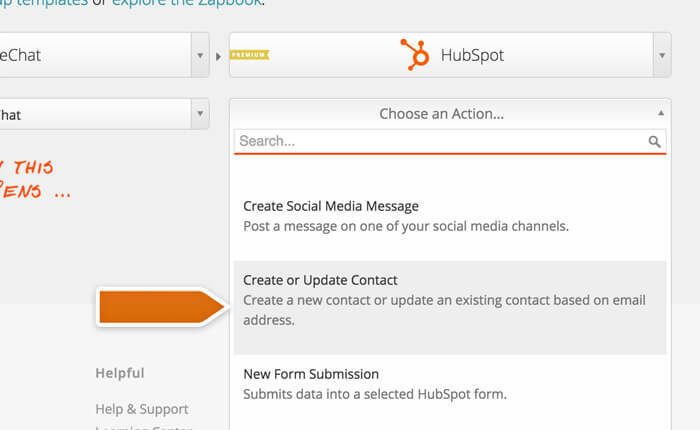 You will also need to authorize Zapier on your HubSpot account. Once that’s done, click on the Continue button. You can then decide if you want to filter particular chats. For the purpose of this tutorial, we won’t filter any chats and simply proceed by clicking on the Continue button. 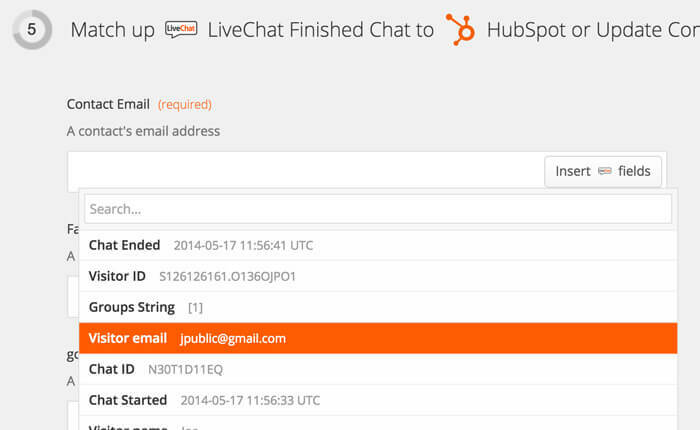 Next, you will need to choose which contact information will be passed from LiveChat to HubSpot. Click on the Insert LiveChat Fields button in the Email field and select Visitor email. Even though only the email address is required, you can pass other information like visitor name or chat transcript. When you are done, click on the Continue button. All that’s left to do is to test the trigger. Click on the Test LiveChat trigger button. Follow the test instructions to finalize the setup. When the test is done, click on the Continue button. Finalize the setup by naming the Zap and turning it on. Click on the Turn Zap On to wrap the integration up. 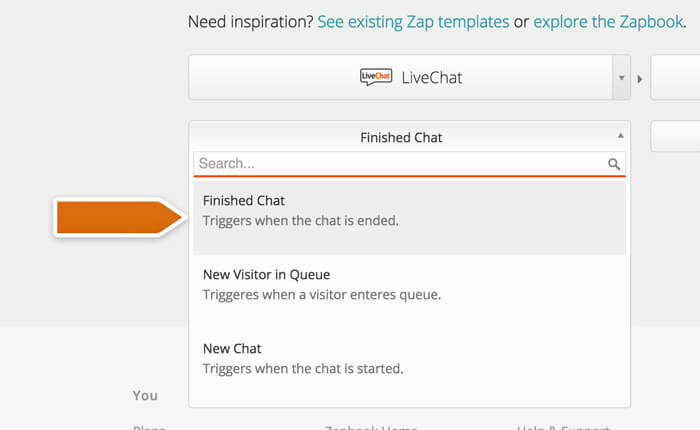 From now on, visitors’ contact information will be sent to your HubSpot account after each finished chat. You can filter these results to a specific set of chats/customers by using the aforementioned filtering options.